"In life, one should enjoy both sides, material as well as spiritual equally. That is the true balance one should try and maintain," said Hrithik Roshan when asked about bringing home a brand new Rolls Royce on his 42nd birthday in 2016. It was a gift to himself. He also said, "some think that material is not important, but that is not true. One should party, go to gym, spend good time with friends and enjoy. I do all this." Who can forget his awesome moves in the blockbuster dance number, "Ek Pal Ka Jeena..." from "Kaho Naa Pyar Hai"? It seems to agree with his spirit, right? Known as the perfect dad in Bollywood, Hrithik Roshan is sensuous AND spiritual. Yes, both things can go together. Hence, the spotlight on him on Father's Day 2018. Hrithik does not believe in spoiling his sons, Hrehaan and Hridhaan, the apple of his eyes, even though they are super star's sons. Rather, he believes in imparting lessons of life to them so that they spend a meaningful and courageous existence on Earth. This Father's Day 2018, the Bollywood star shares some secrets that have helped him earn the status of being the perfect dad in the film industry. As dads, you are an example for your kids. So make sure you are a good one because kids tend to copy their parents. Always get involved in small celebrations with your kids. So, if you have a birthday bash to attend in your social circle, either take the kids with you, or skip the bash to be with them. Do not leave them with a babysitter, please. Today, you abandon them; tomorrow, they might abandon you. Yes, we know this is the tech age. But your kids need physical exercise. Hrithik encourages fathers to indulge in outdoor activities with their kids. The bonus: it keeps you fit too. Give them exposure to your workplace and other places. They are curious what you do in the office. Show them. They need to know how their "daddykins" toils hard whole day to give them a good life. Welcome your kids' ideas around the house. So what if the furniture has been at the particular corner for decades? Now is the time to change. Be a little tough at times. Discipline is needed. Children must know they cannot always get what they want by throwing tantrums. Hrithik just knows when to put his foot down in the face of his kids' tantrums and when to say, "ok, your way." No wonder people call him the perfect dad! Cuddle your kids as much as you want when they are small, not when they are 20-year-olds! Even many teenagers don't like it when their parents show "baby-like" affection in front of their friends. Hrithik believes that kids need mental stimulation. He creates stories and comic strips for his sons for stimulating their brains. He wants his children to have a touch of compassion when they grow up. His motto is to instill the desire to learn in his kids. Let your kids discover their hobbies and talents. Do not thrust upon them yours. Kids usually look upon their father as a role model. In the superstar's case, Hrithik is his sons' biggest fans. When you make a mistake take the responsibility. Do not put the blame on your kids! This will teach them to be responsible as well. Learn from kids. Don't think you are a parent so you know everything. Children can make us learn much. They are pure beings, full of spirituality and innocence. Be a parent. Be a friend. Know when to be what. Kids can definitely give you some good cardio. It's a lot of work to be a perfect dad. And if Hrithik is man enough to rear his two sons, all you fathers out there, roll up your sleeves to do some daddy work! Being a father and rearing two adorable kids have helped to make him a better human. Children, no doubt, help us in personal growth. They help to awaken our spiritual side, at times, teaching us ways of life. Adults often lose their inner touch amidst the "rat race" and even forget their true purpose of life during their pursuit of materialistic things. Come kids and lo, they pull your strings and make you see who you really are. No matter how busy he is, he almost always squeezes time for his kids. He dotes on his sons and shows it. Hrithik happily shoulders his share of duties as a parent. Stardom does not affect him. He makes sure that kids maintain the spiritual touch in them and it does not wane away as they grow up. So, he is known to give them spiritual lessons. The perfect dad makes sure that turmoils in his personal life do not affect his kids. Hrithik strikes a fine balance between having fun and being stern with his kids. This goes a long way in having a healthy relationship between father and children. Fathers, as commonly believed, should not be fear figures. Rather, they should be inspirers. This helps not only in personality development of a child, but also in spiritual growth. 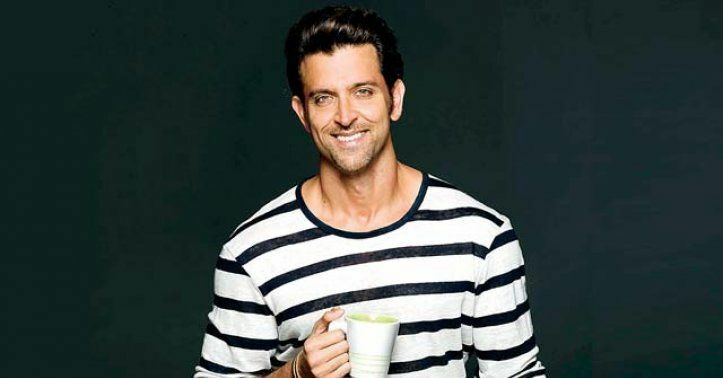 According to a report, Hrithik Roshan was a shy kid. In one of his interviews, he had even said that despite people, especially females, going crazy about his looks, the one thing he disliked about his face was his jaw! This is one humble and down-to-earth star who hardly let success go over his head. He has seen ups and downs of life, including a broken relationship, yet did not let his spirit wither away. Perhaps being a father has helped him heal emotionally. No wonder, this Father's Day 2018, he deserves a special mention. This is what he says, "I was very shy as a kid, but as now this transition from being shy and introvert to kind of spreading joy and love... is a good sign of growth. I have done well." Hrithik Roshan is a great dad to his adorable kids; he is also their life coach. He helps them show the right path and take useful turns in life. Do you have a life coach? Do you want one? The best life coaches in India are available. Shipra Singh is a senior content writer at lifepositive.com. She is a kidney donor and has experienced life's many colors, including grey shades, that have helped her discover her spiritual side. The writer believes her life is a novel and she makes sure to turn one page at a time to understand the Divine Plan better. A God-loving person, Shipra has healed herself of life's injuries through cooking and dance therapy.